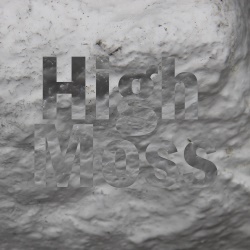 A word of warning: this could be the most challenging album yet released on High Moss, but if you're up for the challenge I hope you will find it interesting and maybe even rewarding. I don't know whether to call this music or sound art – it pushes at the boundaries between the two, if such boundaries exist, playing with perceptual trickery and auditory illusions. 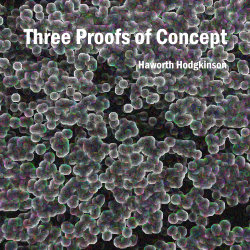 Starting in 2011, I produced a series of pieces with the generic title Proof of Concept – one of them, Fifth Proof of Concept (2014), has already been released on the album Red Nocturnes, and the latest to be so named was Ninth Proof of Concept (2016). All these pieces share the basic idea of using a single source sound and building up multiple layers of that sound proceeding at different speeds that bear carefully calculated relationships to each other. All are zero-player games, by which I mean that once the process is set in motion there is no further intervention from me – the process simply plays out its natural course and then stops. For this album I have chosen three of these pieces and run them together as a single track. Sixth Proof of Concept interrupts Third Proof of Concept just as its process is reaching completion, and when Sixth Proof of Concept winds up and stops, Fourth Proof of Concept is revealed already to have started quietly in the background. Third Proof of Concept is perhaps the purest of these pieces. The single source sound is a low tone digitally synthesised from sine waves, although we do not hear the source in the piece. What we hear is the source at double speed, effectively producing the second harmonic of the source, then on top of this another moves at three times the basic speed to produce the third harmonic. I could have continued adding layers at higher harmonics to produce the familiar euphonious natural harmonic series, but I chose only to use the prime numbered harmonics. Instrument builders and players generally try to avoid prime harmonics from the seventh harmonic upwards because they deviate from the equal-tempered scale we are used to, so by using exclusively prime harmonics I have tried to make something that sounds alien and unfamiliar, even though it is based on natural ratios. There are 16 layers in total, running at 2, 3, 5, 7, 11, 13, 17, 19, 23, 29, 31, 37, 41, 43, 47 and 53 times the original speed, and when each has repeated its designated number of times they all come back into sync and the process stops. You might think this approach would produce something chaotic, but in fact it sounds remarkably ordered, with rising and falling waves of sound and mysterious lacunae of stillness. In Sixth Proof of Concept the process is similar to that in Third Proof of Concept, but the effect very different for two reasons. Firstly I allow all speed multiples up to 16 times, not just prime multiples, so the harmonies tend to feel more familiar. And secondly, the source itself is much more tangible – a fragment of a waltz tune taken from my piece The Audition (1995), which appears in its original form on the album Red Nocturnes. The process used gives rise to natural bursts of near-chaotic activity and lacunae of near stillness. Fourth Proof of Concept uses as its source the sound of a vibrating string. Slowly, five layers accumulate, running at speeds of 1, 2, 3, 5 and 7 times the fundamental, so we hear a build-up to a naturally harmonious wall of sound. The process in this piece involves all but the fundamental layer gradually speeding up, so that the natural harmonic relationships are strained and broken. For a while this is barely perceptible – if anything the harmonies start at first to feel richer as the ear compensates for the tuning discrepancies, but at some point – maybe a different point for each listener – the ear can no longer adjust and the harmonies are revealed in their dirty irrationality. Towards the end, the dissonance starts to resolve again, and by the very end the voices have each moved up to the next harmonic, running at speeds of 1, 3, 4, 6 and 8 times the fundamental, but this point of arrival is timed to correspond to the point at which all voices have faded to nothing, so we get the feeling of not quite reaching the point of resolution.